Very Fast – Very Efficient – Very Flexible – Clean and Reuseable – The ONLY Solution! 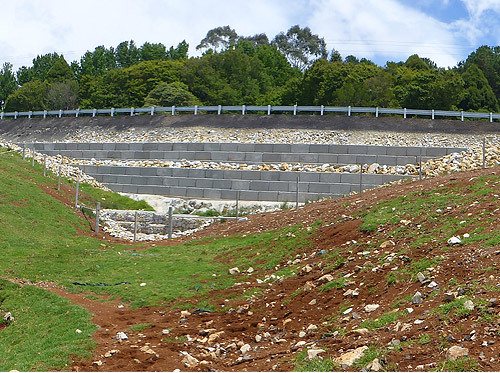 Graviti® Systems from Gravity Wall Systems creates a permanent mass block retaining wall or structure that can be deployed rapidly to counter erosion, land slippage or wave energy. 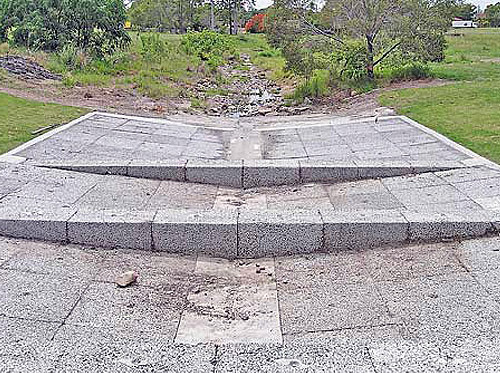 The Graviti® products can be used to replace conventional retaining walls such as gabions, boulder walls and stone pitching and can be used in under water situations. All Graviti® products are labour efficient, clean and time saving giving you more time in other areas of your project, leaving you with a no maintenance structure. Gravity Wall Systems usually only manufacture and supply however we can assist with arrangements for installation. Our unique no fines mix design allows us to achieve greater than 25mpa strength in all our products. Dry stacked, mortar-less construction. The system can tolerate movement and settlement without causing visual distress at the face. Graviti® Block walls are relatively flexible structures. Graviti® Block walls have very high permeability tested to 12,050 litres flow through 1 square meter of Graviti® Block per Hour. This high rate of permeability eliminates the development of hydraulic pressure behind the wall structure. Graviti® components are manufactured from wet-cast concrete, resulting in a very durable retaining wall system. The mass blocks are resistant to cracking and do not splinter or decay like treated timbers. The blocks contain no steel reinforcement (apart from a galvanised Swift Lift lifting anchor) and have no exposed wires to corrode like the old fashioned Gabion cage system. Two experienced workers with an excavator can place up to 80m2 of wall per day. Blocks are easily lifted and placed using the galvanised Swift Lift Anchor cast into the top of each block. Using this system entire mass block retaining walls can be built in a fraction of the time spent on many other systems. The Graviti® system is competitively priced when all project costs are taken into account, including installation time, traffic control, durability and in-place performance. All Graviti® walls must be built in accordance with site specific design, your local council regulations, and prepared by a registered engineer. Gravity Wall Systems can provide a design service as part the Graviti® package, if required. Contact us today to see how our mass block retaining wall system can help you.